WASHINGTON — In its budget proposal for the coming year, the U.S. Air Force is trying to send the same message to foreign adversaries and critics at home: the service definitely is not underestimating threats the United States and its allies face in space. And there are additional space-related investments in the black world. “We know that classified spending is increasing, and that bodes well for space overall,” said Doug Berenson, managing director of the consulting firm Avascent. Avascent estimates the Pentagon budgeted $48.7 billion for classified systems in 2019, compared to $43 billion in 2017. Congress has not yet appropriated funding for 2018, so Avascent compared the new proposal with 2017 levels. The classified budget includes aircraft, cybersecurity, electronic warfare and other items. Berenson believes that space is probably the biggest single category. By Avascent’s calculation, unclassified space spending for 2019 total $7.3 billion, or $1.2 billion less than the Air Force’s number. 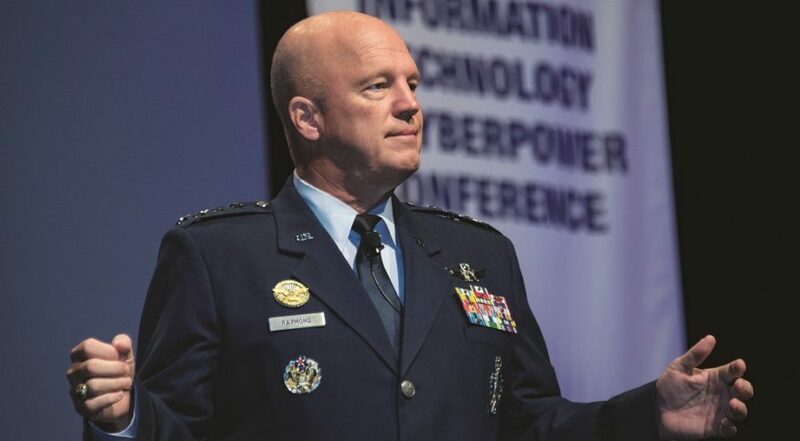 Berenson said the difference is probably due to the Air Force counting ground-based equipment associated with space systems that Avascent includes in the C4ISR category. Late last week, Undersecretary of Defense for Policy John Rood told Congress that a total of $12.5 billion is in the president’s 2019 budget request “to take steps to establish a more resilient, defendable space architecture.” A DoD spokesman did not respond to questions on what is included in the $12.5 billion figure. The new space budget shifts funding from the procurement of satellites to research and development. Most of the $2.5 billion space procurement account — down from $3.4 billion a year ago — is for big-ticket launches under the Evolved Expendable Launch Vehicle program. The Air Force is seeking nearly $1.8 billion for five launches, which averages $360 million per launch. The budget also provides $245 million for research and development towards a new rocket engine. The pivot is most noticeable in the Space Based Infrared System (SBIRS) program, the satellite constellation that monitors missile launches around the world. The Air Force increased R&D for a new missile-warning constellation from $71 million to $643 million. It ends procurement of SBIRS satellites beyond No. 5 and 6, which already are in production at Lockheed Martin Space Systems. The SBIRS procurement account plummets from $1.1 billion in fiscal year 2018 to $138 million in 2019. Research and development for a next-generation system gets a boost from $382 million to $703 million. The Air Force also is transitioning the Global Positioning System. The plan is to start a new program to succeed the block of GPS 3 satellites currently in production by Lockheed Martin. The Air Force intends to select a new design and seek new competitors. The budget adds more money for future GPS 3 research and development — from $1 billion to $1.4 billion — and cuts procurement from $101 million to $85 million. The Air Force is boosting R&D for protected satellite communications. Research on a future replacement for the Advanced Extremely High Frequency (AEHF) constellation is getting a big bump from $315 million to $677 million, whereas procurement goes down from $138 million to $91 million. Four satellites have been delivered by Lockheed Martin, and two more are in production. The budget funds the 10th and final Wideband Global SATCOM satellite. The 2019 request includes nearlu $50 million to complete the Air Force Commercial Satellite Communications Pathfinder projects, which are exploring ways to work with commercial fleet operators to reduce cost and improve satcom resilience. Raymond noted in his statement that increased spending in R&D shows a deliberate effort to move to next-generation systems. “We are demonstrating our commitment to innovation, rapid acquisition and to building more defendable, resilient and capable space systems,” he said. This article originally appeared in the March 12, 2018 issue of SpaceNews magazine.